Two upcoming talks at London Transport Museum are must-sees for anyone fascinated by the capital’s history. The Brunels’ tunnel between Wapping and Rotherhithe is one of the wonders of London. It was the first tunnel beneath a major river anywhere in the world when built by Marc and Isambard Kingdom Brunel in the early Victorian period. 50,000 people visited on its opening day, to walk beneath the river and visit the sideshows and stalls that lined its walls. The tunnel continues to fascinate. Last year, it briefly opened for public tours ahead of integration into the London Overground network. As on the original opening day, the demand was huge. You can learn more about this incredible structure at a London Transport Museum talk on Tuesday 1 February entitled ‘The ‘Eighth wonder of the world’ and the legacy of the Brunels’. 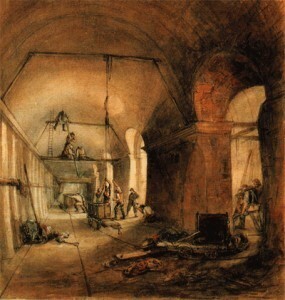 Robert Hulse, Director of the Brunel Museum in Rotherhithe, will describe the construction of the tunnel, which was fraught with difficulties. He will also discuss its long history and modern function as part of London’s rail network. The talk is organised as part of the Museum’s ‘London Overground: life along the line’ exhibition. The museum’s ongoing commemoration of the Blitz reaches another highlight on Tuesday 15 February, with a talk about the effects of the war on London’s transport systems. Wheels Under Fire explores how the buses and trains kept running despite nightly bombardment. London Transport Museum’s Research Fellow Oliver Green will give a visual presentation of this remarkable time in the capital’s history. The talk is organised as part of the Under Attack: London, Coventry and Dresden exhibition. Tickets for either talk cost £8 (adults), £6 (seniors) and £4 (students). You can reserve in advance by calling 020 7565 7298. 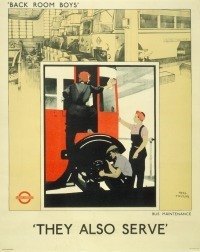 Article in partnership with London Transport Museum.